Address: 166 Tyrwhitt Rd, Singapore 207570. It is my second visit to this cafe which is located near to Lavender MRT stations and closely nearby to other famous cafes such as Chye Seng Huat Hardware and VXX Cooperative at Foch Road. It was an unusual evening for my friend to off work before 7pm for her shift. She called for dinner and I suggested to meet up at Lavender MRT station. I brought her to this quiet cafe which I discovered with my colleagues days ago. 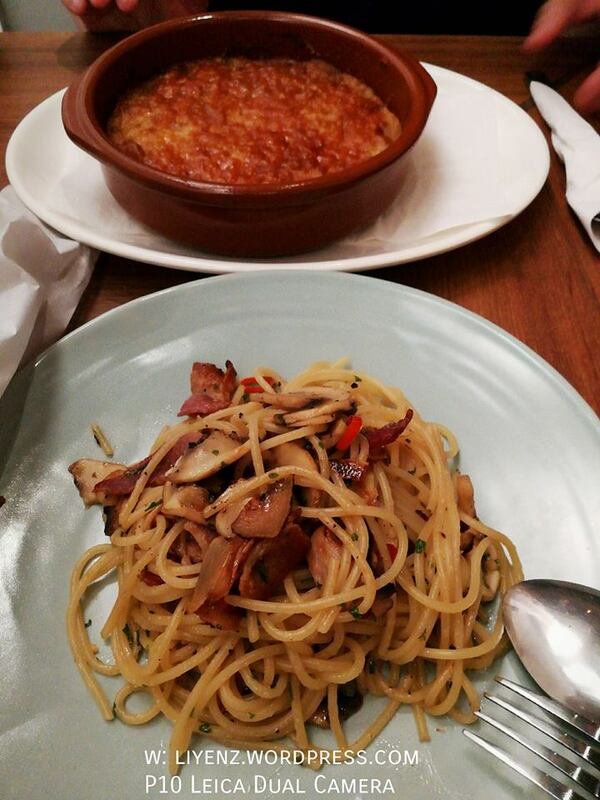 She ordered the Cottage Pie and I ordered the Aglio Olio with Bacon for myself. She liked it. I liked mine too. Simple, small portion and delicious. It allows us to have some snacks or desserts after the main course. That is the main purpose. We ordered the fried sweet potato as snacks. It looked like overly fried when it was served. The lighting at the cafe at night it slightly dark and it may not be suitable to take great pictures of the food. The atmosphere in the cafe at night is slightly noisy than the afternoon time as there are more people visiting the cafe, however, it is a great place to have dinner for two, chill out with couple of friends, enjoy the music and the cozy environment. 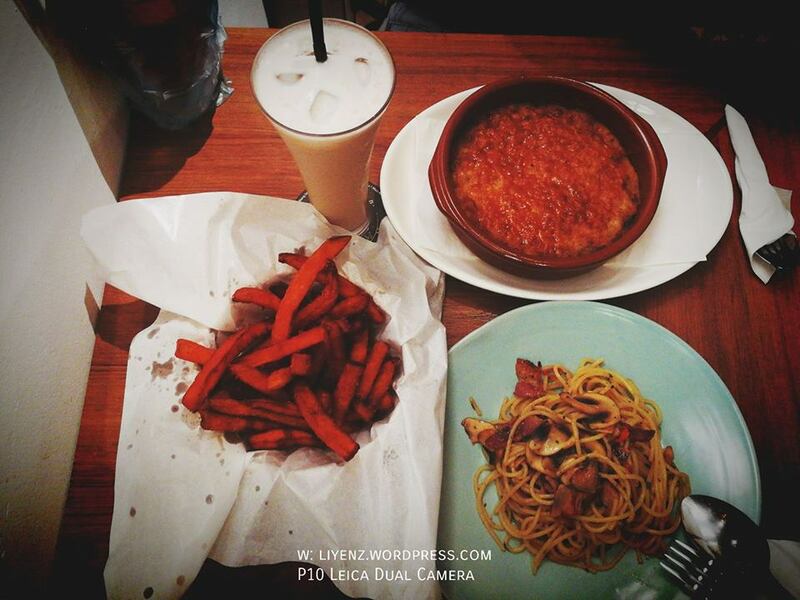 So, if you are planning to bring your date out, do consider this cafe for a good dinner without burning your wallet.